How many science fiction movies have featured elements of ‘mind-control?’ Recall the squid-like alien monster that taps into the mind of the President of the United States in the epic ‘Independence Day!’ Well, alien or not, we are about to join our telekinetic space invader foes. 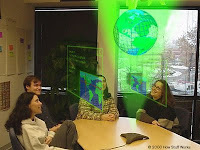 Artificial Telekinetic (AT) technologies are now rolling out of the lab, and being applied in high-end applications such a remote mind control of military assort vehicles and flying robot drones; mechanized hospital beds, wheelchairs, voice box simulators; videogames, and here, Computer Aided Design (CAD) Interfaces. Pioneering CAD interface technologies are enabling designers to select and control on-screen 3D graphic solid-models using the power of the mind! Woo!! Integration of thought controlled headwear means designers can use AT to design whole models and schematics with brain waves alone. Emotiv ‘EPOC,’ founded in Sydney in 2003 by technology entrepreneurs Tan Le, Nam Do and Professor Allen Snyder, is a revolutionary personal interface for human computer interaction; a Brain Computer Interface (BCI) that uses electroencephalography (EEG) brain waves. The inclusion of the EPOC controls strengthens what is already deemed an incredible groundbreaking BCI design; pushing the boundaries of designer thoughts. This is about flow again (just as in online learning activities). Unfettering the minds will really get the creative juices going. 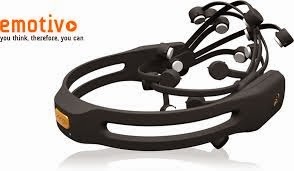 The Emotiv EPOC uses a set of 14 sensors plus 2 references to tune into electric signals produced by the brain to detect the user´s thoughts, feelings and expressions in real time. Based on the latest developments in neuro-technology, Emotiv has developed a revolutionary new personal interface for human computer interaction. The Emotiv EPOC is a high resolution, neuro-signal acquisition and processing wireless neuroheadset that allows users to experience the fantasy of having supernatural powers and controlling the world with your mind. The original goal of the company was to pioneer more realistic and human computer interfaces using mental cues and unconscious responses from the user. 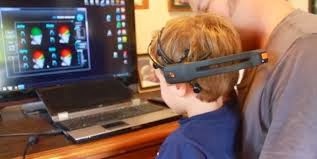 To do this, the company envisioned a low-cost, consumer-friendly, wireless, multi-channel EEG headset. Emotiv targeted its initial product towards gaming applications, because that promised volume sales and high earning potential, but also because gaming provides a good benchmark for the system’s user-friendliness and robustness during everyday use. For brain signal acquisition, Emotiv engineers used a high-quality front-end amplifier system, multiplexed to a 16-bit analogue-to-digital converter that passes samples at 2048Hz/channel to a Microchip dSPIC processor. 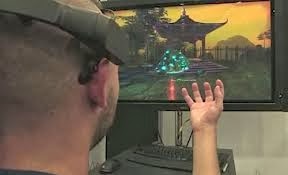 The headset is capable of detecting four mental states, 13 conscious thoughts and facial expressions (through electromyography, the recording of electrical activity of muscle tissue). 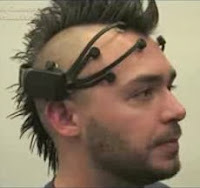 In addition, the device uses two gyroscopes to sense head movements. Today, Emotiv sells applications for brain-controlled photo viewing, brain mapping, games and brain-controlled keyboards, plus developer tools. What if you could just think of a thing – a 3D cartoon toy character; or a new washer for a dripping tap; or perhaps a Baseball Cap with your team’s insignia – and then get hold of one of those new fangled 3D printers and make it right on the spot? No years of training to become a skilled design engineer or toolmaker, and no complicated CAD routines to learn. You just imagine the widget, and it pops out of the 3D printer within, say, ten minutes, just like magic! Fictional nonsense? Or a happy-go-lucky vision of twenty-second century technology? Or perhaps a profound dream that might arguably be one of mankind’s most spectacular and beneficial technological innovation? Well, this is no longer a daydream! It is a hard reality. Because an ultra-bold enterprise called ‘Thinker Thing,’ wants you to be able to create anything just by thinking about it! Sounds to Dr Who? ‘3D printing, what the economist calls the next industrial revolution, is based on a promise, for anyone to be able to create real objects from a computer model. But who can create these computer models. Current software is based on techniques from the 80s, they’re outdated difficult to use and take years to learn. 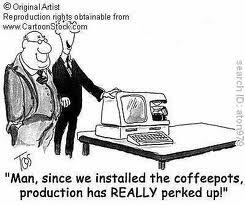 How much of a revolution will it be if only a handful of professionals can create for these machines. At this point users aren’t directing complete designs with their thoughts, as though your brain were controlling the mouse. 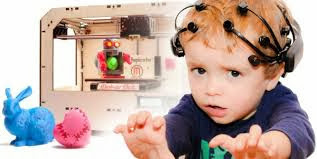 Instead, the EPOC measures reactions to different design elements and selects the element that, according to your EEG, is most appealing to the user. Each piece of a larger design slowly evolves as EPOC continues to monitor a user’s thoughts, until eventually the entire piece is complete. Currently, the Thinker Thing team is touring Chilean schools to expose the children to basic engineering principles, using the EPOC headset and design software to create monsters (think Monsters, Inc. rather than Pacific Rim). 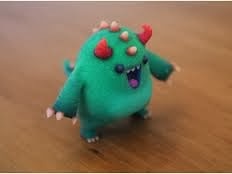 The features of each monster will vary child-to-child, and the end CAD design is printed out by a 3D printer. Thinker Thing has launched an Indiegogo project to hold an exhibit of the various creations following the tour’s completion. While this approach has some flaws from a specific design standpoint, the neuroscience behind the program and the EPOC are still very new. Before too long it may actually be possible to think of a specific image and see that image take shape on your computer. That might not thrill CAD software studios, but such a development would open up digital design to anyone with creativity. Have a breeze around 'Thinker Thing's website and watch the intriguing videos. Do you recall the experience you had with your two-and-half year old daughter or son (assuming you have one or two or more), when they not only strung sentences together for the first time, but had deep semantic understanding of a problem or task or experience at hand? I remember my little daughter doing exactly that. How on earth did she manage to pick up complex strings of grammar in such a short time, and then appreciate their context and relevance. Take humour! It’s arguably one of the most complex heuristic functions: meaning, juxtaposition of contradictory context leading to a punch line and consequence. My daughter would have me in hysterics even at here tiny age with her funny quips or facial expressions in synch with some quip situation. So, how is it that a little toddler manages to learn so fast? 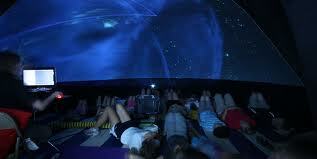 Little kids are immersed in the middle of an environment with parents, siblings and other family members. In conversation they pick up the syntax and semantics at a hugely accelerated rate. Why has it taken me many years to master German? There’s physiological and psychological reasons going on in my brain. But one thing is true, my brain physiology is different in my adult life than as a small child. And facts are facts little kids learn more quickly than even their 12, 20, 50 year old counterparts. 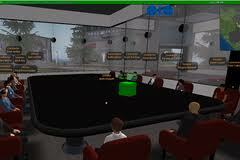 Being immersed amplifies and accelerates learning as you’re cognitively engaged in a real-world setting. So why are schools and Universities organised in sterile classrooms, and the pupils then merely spending less than half their time in four or five different classrooms (as in pupils walking fairly long distances between classrooms, break times, lunch)? This is not real-world. It is artificial, unnatural and highly unproductive. Plus, the period of time that kids actually spend in the classroom, they are only engaged for a third-to-half of the time. Things like settling down, opening books, other kid pranks, monotony, teachers doing the same, etc. So in total, kids are only at best learning for only about a quarter of the time. If a typical school week is 30 hours, that's 7.5 hours of active engaged learning a week! Just over seven hours a week! 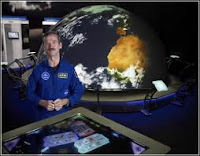 Alternatively, immersive learning environments, that are designed as multidimensional tools to accelerate learning, are now coming on-line in the UK. Kids are collocated in a single class (accept for physical education). And teachers run between classes. This make sense. For example, I went to a high school with almost a 1000 kids, so that's 30,000 collective manhours a week. There were 50 teachers, so that's 1,500 manhours. 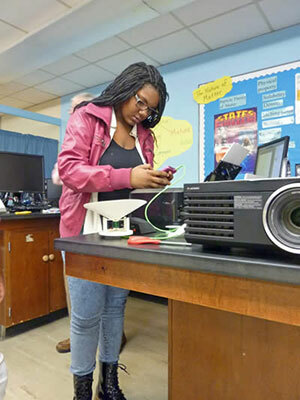 Then having teachers move between classes is much better, because in fact collectively the kids do most of the work. Remember my daughter above? She's now seventeen, and it’s taken her 3 years to learn pigeon French with a clear English accent. What's going on Don Professors? 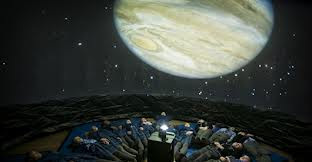 My conclusion is if kids are given immersive learning environments and tools, and stay in the same class (mostly), they’d all do better at school! They'll all speak basic French in a few months! And after a year, well? And as for the financial cost of doing this? What is the cost of 55 percent of kids (UK statistic) leaving school with very little academic and real-world learning achievements? Throughout modern business, so many-many people have achieved colossal (often Giga) achievements without so-much as a University Degree; sometimes without much education; sometimes from humble lineage; and often little financial capital to invest at the outset! Can you think of any???... There is an abundance of examples. Here is a short roll of people, out of a non-exhaustive catalogue. For starters, the obvious protagonists: Richard Branson (who left school with very little credentials, and got himself a criminal record for tax evasion at age 17) founder/owner of Virgin Group, with a capital worth of $22-Billion in 2012. Then there’s Lord Alan Sugar (who left school to sell TV Aerials and Yo-Yos); he is now 800-million quid better off. And of course Bill Gates (who flunked out of Harvard University) founded Micro-Soft and became one of the wealthiest chaps on the planet. What about the 2 boys who went to a tough comprehensive high school in Liverpool, England. Who were often chucked out their Music class for being disruptive; and then dismally failed their final Music exam? Well, Paul McCartney and George Harrison have done/did rather well, have they not? There was a small girl who had a very hard time at school. Daughter to a tough market stallholder and laundrywoman, who both died quite young. The Daughter after her parent’s death spent years in a deprived orphanage. Only, she went on to become a pioneering designer and icon to the world of fashion. Gabrielle Bonheur ‘Coco’ Chanel, founder of the famous fashion brand ‘Chanel,’ had extraordinary influence on vogue. He started in a mail-room for a music publishing company. He has since been an Artist and Repertoire (A&R) executive for Sony BMG in the UK, and a television producer and judge for major television talent contests including American Idol. Simon Cowell is on his way to becoming a Billionaire! With $1,000, dedication and desire, he dropped out of college at age 19 to start PCs Limited, later named Dell inc. Dell became the most profitable PC manufacturer in the world. In 1996, The Michael and Susan Dell Foundation offered a $50 million grant to The University of Texas at Austin to be used for children’s health and education in the city. Having dropped out of high school at 16, his s career and accomplishments are astounding. The most influential animator, Walt Disney holds the record for the most awards and nominations. Disney’s imagination included cartoons and theme parks. The Walt Disney Company now has annual revenue of $30 billion. As a young 20 year old housewife with no business experience, Debbi Fields started Mrs. Fields Chocolate Chippery. With a recipe for chocolate chip cookies, this young woman became the most successful cookie company in the USA. At 16 he left home to apprentice as a machinist. He later started a Small Motor Company to manufacture cars. Henry Ford’s first major success, the Model T, allowed Ford to open a large factory and later start the archetype production assembly line, revolutionalising the auto-making industry. For a mix of reasons, education and lineage were not the deciding factors for these people. Clearly talent, drive and self-disciplinewere important. But more, unshakable single mindedness to do something original, valuable and extraordinary is the underlying factor. Clearly a GigaEntrepreneur’s personality is different by definition. In turn, habits and traits are atypical by default. But they can also be constructed by design. ‘Make up your mind!’ Because until YOU the entrepreneur or YOU the corporate CEO make up YOUR mind at least in some proportion to the case examples above, your imagined great stride forward will not happen; let alone the dream of GigaInnovation. Welcome to the year 2020! It hot, is it not? However, do you recall the recession back in 2012? Well, that was a breeze compared to what we now face in 2020! Most of us was aware of the consequences of an economy that is interconnected. What we didn’t know was how it would affect us now at the beginning of the 3rddecade of 2020! The connected economy was just the beginning. Because once the richness of interconnections hit a vital number, it reached a point of critically where the economy began to evolve at super-accelerated rates. And that meant that the rules of engagement fundamentally changed: It became an Innovation Economy. 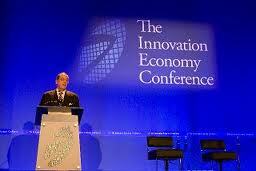 An innovation economy that is nonlinear, warp-speed and counterintuitive. And the rules of such an innovation economy are paradoxical, capricious and surprising. The rule of inverse productivity. Way back in the ancient 1980s (A.D) it took 1,000+ people to run a noisy, quite treacherous steel mill. Now it takes less than 10 people. Process technologies that control the mill are now that advanced that most people controlling the plant sit in offices the other-side of the world. In new product development it’s the same: what took 20 engineers 3 years (a landline telephone for instance) to put into production, now takes 1 multidiscipline engineer 1 month. Computer Aided Engineering and Analysis Systems have dropped so dramatically in price-performance, that even the smallest company can afford a full suite of kit from end-to-end of the design and manufacturing process. Intelligent service systems such as automated self-service pubs, clubs, cinemas and restaurants are common place now. This simply and clearly means more and more, faster and faster, smarter and smarter, for less and less direct human workers, materials and tools. And that means the once economic Holy Grail ‘productivity’ has been going inverse and more acute over time. If you think the worldwide total of 1.2 billion workers that were unemployed back in 2012 is large; once the dozens of emerging nations achieve full blown ultra-yield technological production systems; most of the world’s population will be unemployed. Solution. Pumping investment and creating sufficient numbers of new roles is important, but not merely enough. New enterprise start-ups do sustain jobs. But, the major effort is to inspire, create and develop a global culture of entrepreneurialship, innovation and enterprise. Avoid encouraging or threatening people to look for jobs that are not there. Promote, praise, idolize individuals that create their own productive and well paid work. Make a living out what you enjoy. Better still, become aGigaEntrepreneur. The rule of exponential price-performance improvements. In the 1970s, what took a room the size of a football pitch to house a computer the size of a building with hundreds of people to design, build and maintain the supercomputer, now costs ~30-dollars for a system that has 1,000,000 times the processing power that is the size of your palm (Hyperphones, Ultrabooks, nxPADs, et al). Technology is shrinking toward the invisible, whilst performance and functionality is expanding toward the multidimensional. Microprocessors are now Nanoprocessors handling multiple-terabytes of data. Computer speed and memory capacity, material strength, durability, environmental endurance is going in the same direction. In fact, technologically, this is happening virtually everywhere. Solution. The goal, then, is to offer leaps in functional performance at a sustained price point. Or more and different for less, thus driving-up volume and differentiation in sales. 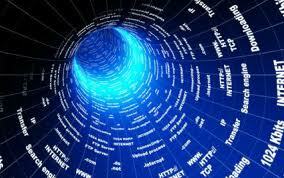 The rule of digital disintermediation. We have all heard of friction free economics. That the digital economy has much shorter, often direct supply/value chains. The long-value/supply chain’s tail with dozens of stages is and will continue to contract and reduce in stages. We saw this happen with digital virtual products and services with the likes of Amazon.com, iTunes.com, VEVO.com, eBay.com back in the 2000s. And now in 2020 rapidly growing 3D-printing and additive manufacturing at home. That is machines that output basic components (washers, screws, brackets, elemental shapes, et al) and simple electrical gadgets (TV remote controls, digital watches, torches, et al) in one go by downloading digital models, taking the data and turning it into real artefacts by laminated/additive synthesis. This is potentially the most disruptive and powerful challenge economically in 2020. Solution. As supply chains shrink; develop and promote systems that enable multiway supply and value creation networks (Hyperinnovation). That is, mass-custom innovation from home, den, garage, school, hospital, park, caravan, car, shall I go on! Next, integrate design and build; unleash the data on the web. Producers and consumers not only become pro-sumers, but economic champions and stewards. Hence, designers and artisans now flourish. That is jewellery stylists, sculptors, custom furniture designers and fashion aficionado thrive all from the comfort of their home. DIY innovation has arrived! The rule of instant retail. Commercial value-chains and associated supply-webs have shrunk to an iota in scale. Retail shops are now mostly automated. Again, few opportunities for employment. Another disruptive economic conundrum to fix! Solution. You still go for retail therapy. But the experience has not only changed, since 2012; it has turned into safari-adventures and wonderland excursions. High Street shopping is now a bright, fun night out on the town or a countryside relaxing enjoying encounter. Your local shopping mall is an adventure playground. But you don’t have to venture out the door to pick up your new goods or wait for FedEx to deliver!Instant Retail is here. High resolution holographic projectors beam your new tee-shirt or clutch bag in full colour 3D in front of you. Ultrasonic beam projectors make the hologram touchable. So you can not only look at it, you touch and feel it in real-time. You like the new gadget you’ve just eyed? 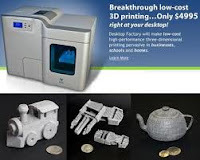 So transfer your bank account details; down load the 3D digital model to your 3D printer. Make it, take it, and off you go! Instant Retail is here!! All of the technologies for this are beginning to roll out of the R&D lab now in 2012. So think we’ve got economic challenges today? The Innovation Economy is just over the horizon...Go figure!! !